Make it. Store it. Then slather all over your favorite cheesecake, pastries, popcorn, ice cream and anything else. Over medium heat, melt sugar in a medium sauce pan. Whisk until fully melted. Add butter and continue to whisk. Remove from heat and mix in heavy cream and sea salt. Continue to mix until well combined. Allow to cool before placing in a jar. Refrigerate to cool off some more before using. For personal storage, use any empty peanut butter or jelly jar. For gifting, canning jars are recommended. 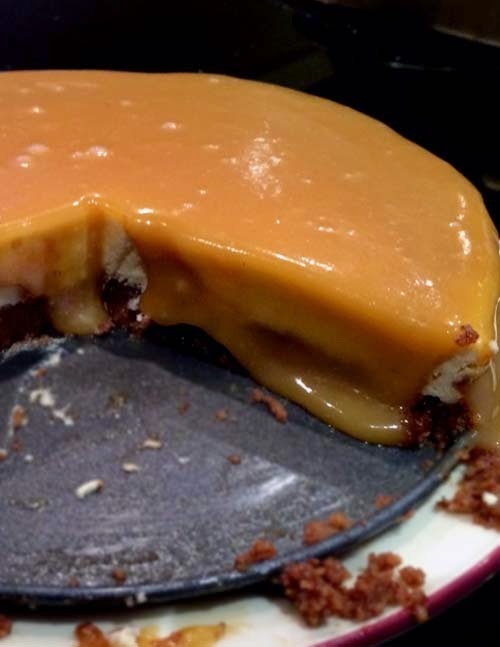 As you can see, New York cheesecake (recipe here) with salted caramel topping is just one possibility.